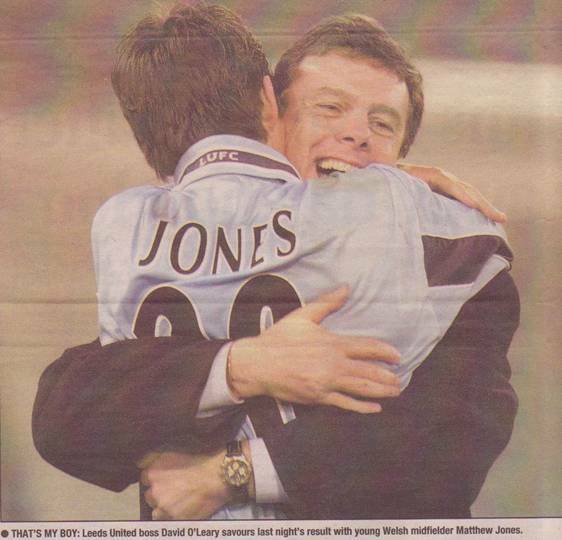 Date: Thursday, 2nd March 2000. 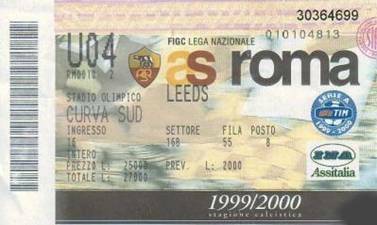 Venue: Stadio Olimpico, Rome, Italy. 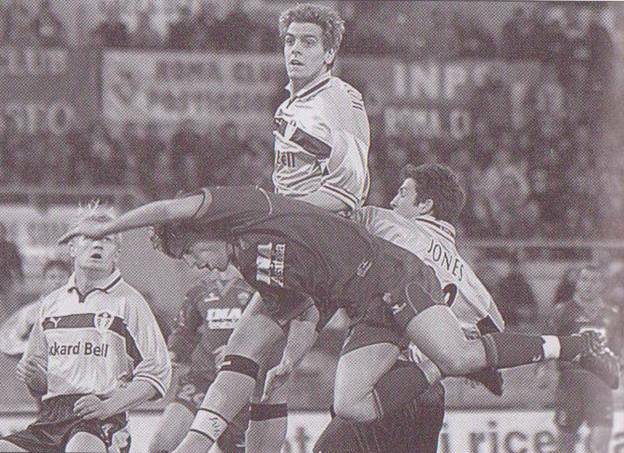 Competition: UEFA Cup, Fourth Round, First Leg. 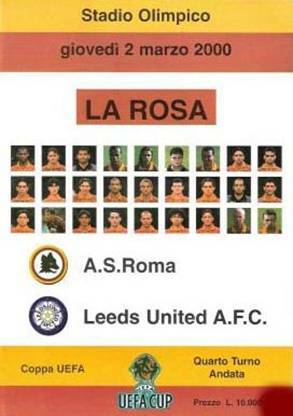 Score: AS Roma 0 Leeds United 0. 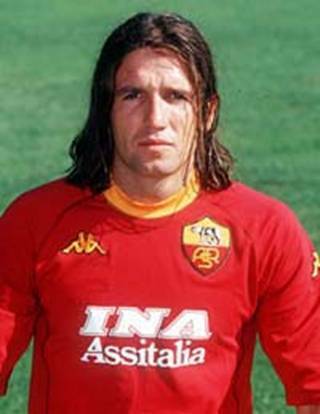 Scorers: AS Roma: Nil. 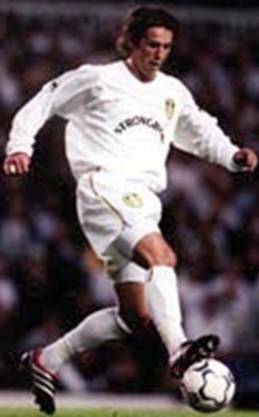 Leeds United: Nil. 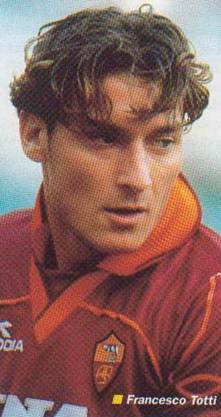 AS Roma: Antonioli; Cafu, Zago, Aldair, Mangone; Candela, Nakata, Tomassi, Totti; Montella, Delvecchio. 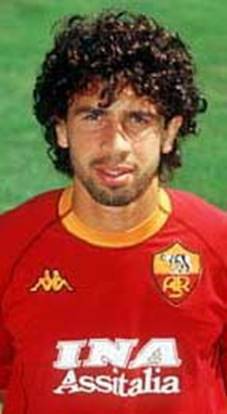 Unused Subs: Lupatelli, Di Francesco, Blasi, Tomic, Gurenko, Rinaldi, Fabio Junior. 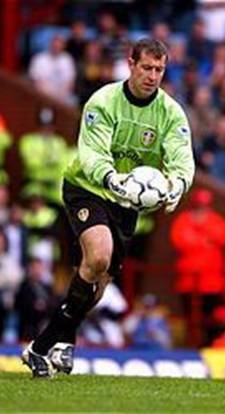 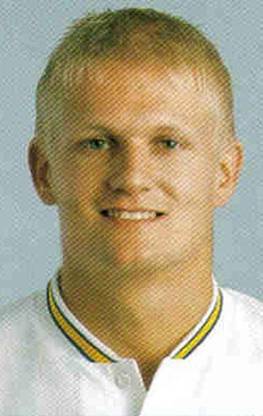 Leeds United: Martyn; Radebe, Haaland, Woodgate; Jones, Kelly, Bakke, Bowyer, Harte; Bridges (Smith), Kewell. 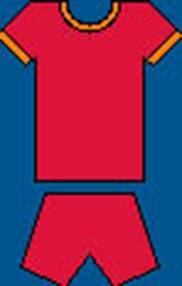 Unused Subs: Hopkin, Huckerby, Mills, Duberry, Maybury, Robinson. 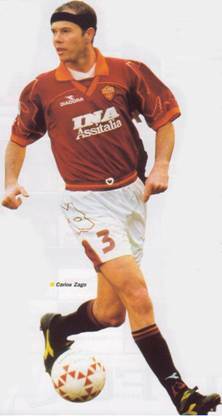 Hope sprang eternal for United after a tremendous defensive display in the Eternal City against Roma, who had won sixteen of their last seventeen European home ties. 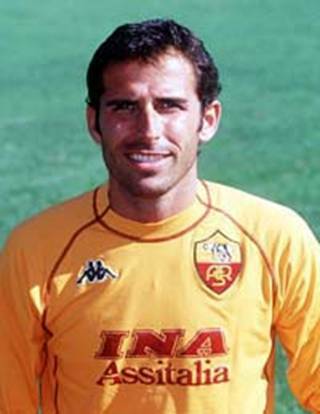 In a fantastic performance, in which Nigel Martyn was in invincible form, United held the big spending Italians to a 0-0 draw and gave themselves every chance of avenging ythe previous year’s narrowest of margin defeat in the same competition. 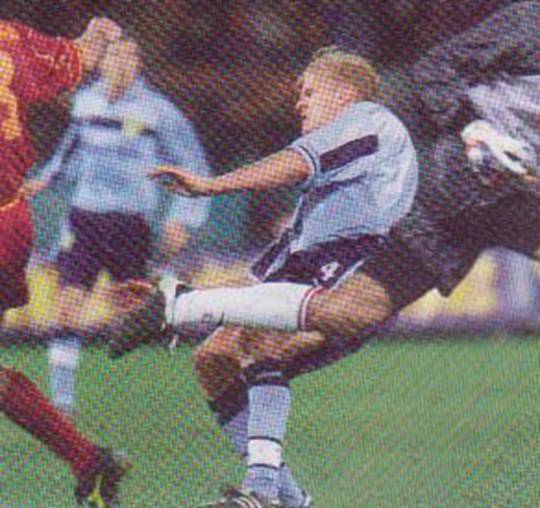 It was a truly heroic display by goalkeeper Nigel Martyn gave United the chance of further progress in the UEFA Cup as he stood defiantly against all that Roma could throw at him to keep them goalless. 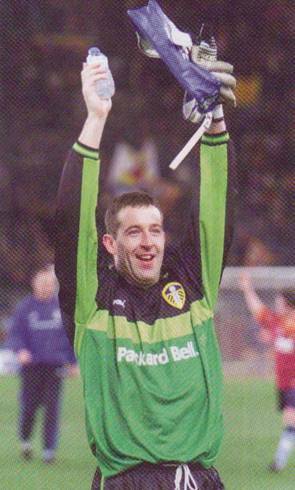 Manager O’Leary had some surprise team selections. 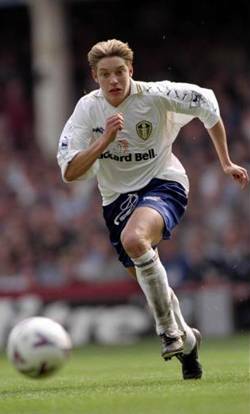 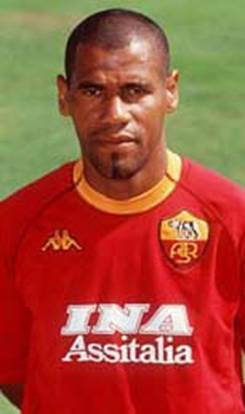 He had Alf Inge-Haaland in the middle of a back three with Jonathan Woodgate and Lucas Radebe, while young Welshman Matthew Jones was detailed to man-mark Francesco Totti and Gary Kelly was pushed up into the midfield alongside Eirik Bakke. 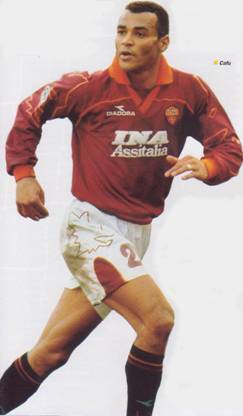 The Roma team included a European debut for Hidetoshi Nakata the Japanese phenomenon. 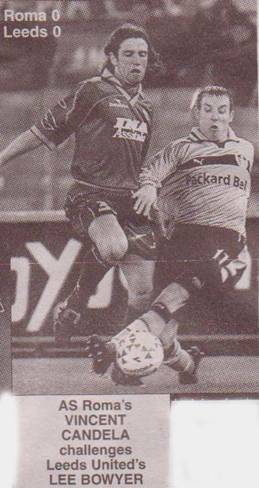 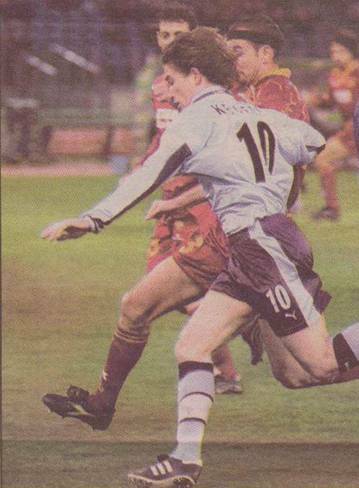 When play commenced United were the first to settle with Gary Kelly firing in a right-wing cross that had the Roma defence in a panic and Eirik Bakke was able to head goal-wards only for keeper Francesco Antonioli to stick out a leg to clear. 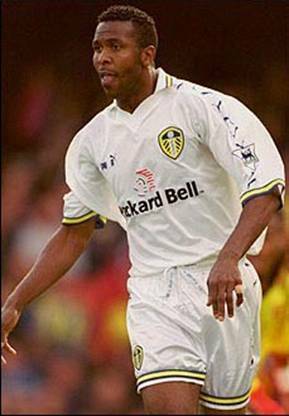 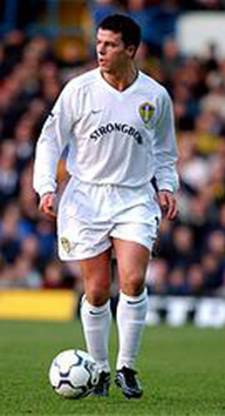 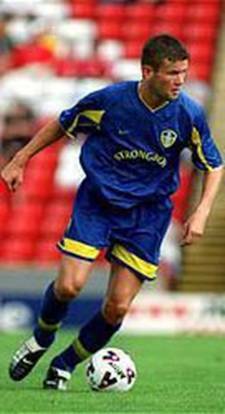 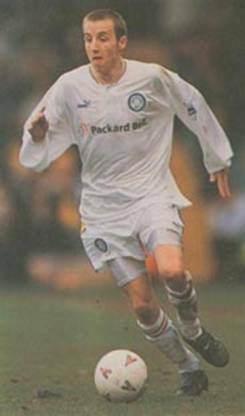 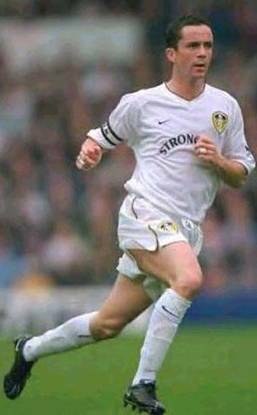 Ian Harte tried his luck with a thirty yard free-kick but it curled wide and at the other end both Jonathan Woodgate and Lucas Radebe were called upon in quick succession to stop the threat of Marco Delvecchio. 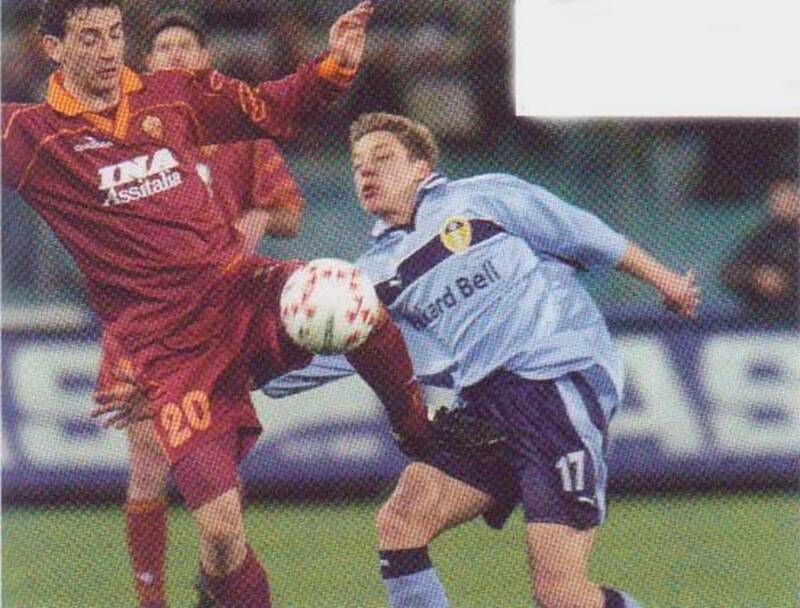 In the eighteenth minute Nigel Martyn had to produce a spectacular save to keep out a well struck shot from Francesco Totti. 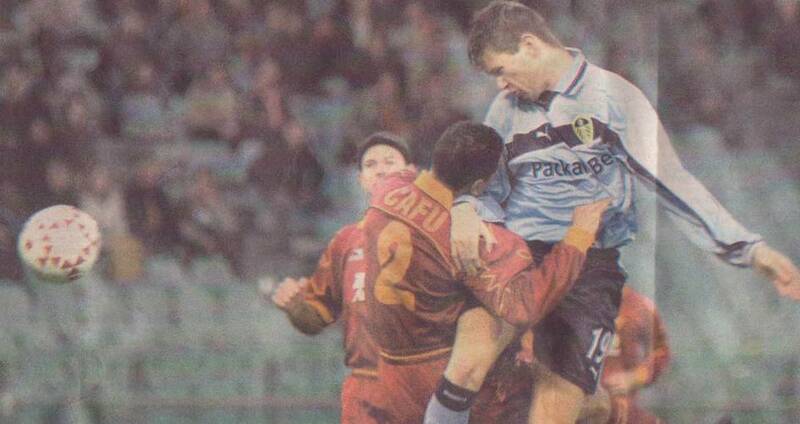 There were strong claims by the home side for a penalty as Marco Delvecchio threw himself over dramatically in a challenge with Nigel Martyn but the referee rightly waved play-on, but Roma were gaining momentum and Amedeo Mangone was only just over after being set up by Francesco Totti. 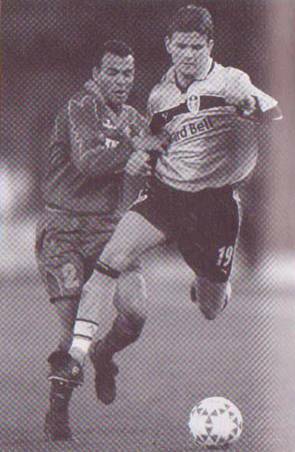 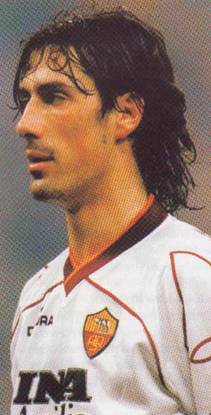 United were being carved up at the back and Marco Delvecchio was the next to threaten but he shot straight at Nigel Martyn. 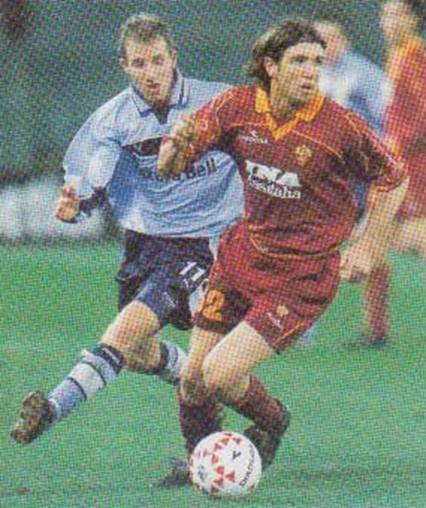 Harry Kewell relieved the pressure with an exciting run but Gary Kelly could not get on the end of his fine cross. 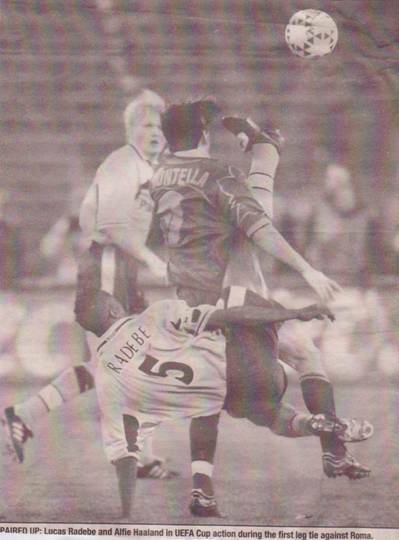 Kewell, running on to a measured pass by Michael Bridges had a great chance to open the scoring but was narrowly wide under pressure from Nascimento Aldair after twenty-eight minutes. 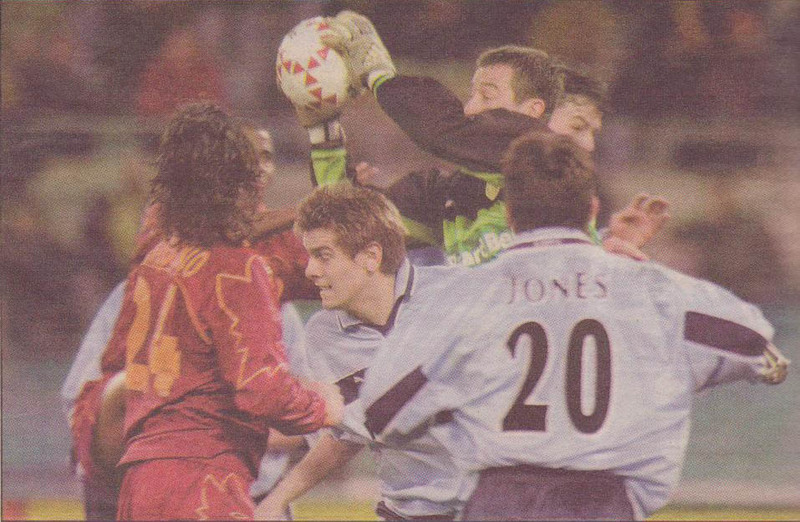 Matthew Jones brilliantly dispossessed Amedeo Mangone before Nigel Martyn was once again called into action to keep out Francesco Totti as he flung himself to his left to save. 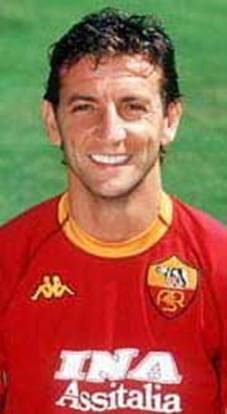 A fine piece of artistry on the left by Vincent Candela set up another chance for Marco Delvecchio, but once again it was Nigel Martyn who was the hero diving in among the swinging boots and once again on the stroke of half-time he turned a Francesco Totti lob spectacularly over the bar. 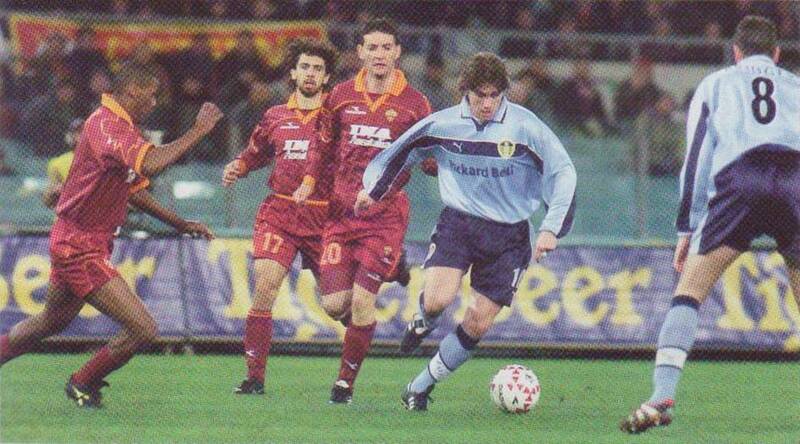 It was United who started the second half on the offensive as Harry Kewell once more jinked his way through the Roma defence before leaving Francesco Antonioli pawing at thin air as his shot went agonizingly close. 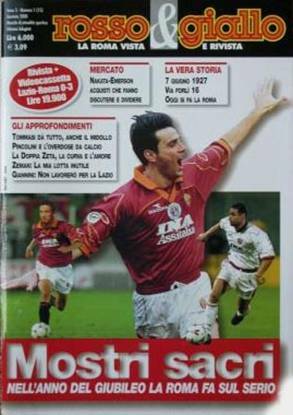 Then it was Roma trying their hardest to break the deadlock as Francesco Totti ballooned over a volley and then Marco Cafu forced another superlative save out of the invincible Nigel Martyn. 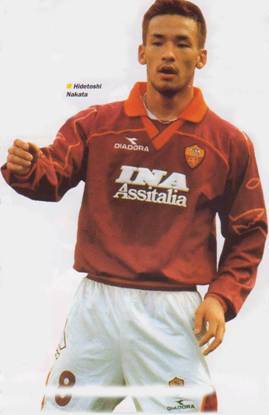 Hidetoshi Nakata was the next to try his luck with a dipping shot which went too close for comfort but Roma were gradually losing their cutting edge. 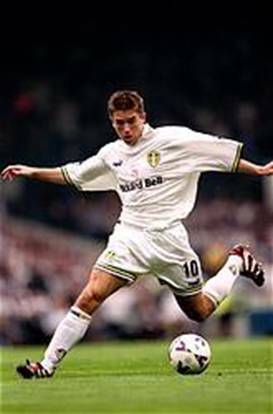 United threw on Alan Smith for Michael Bridges with twenty minutes left and he soon went close but not as close as Harry Kewell, who picked up a misdirected pass by Hidetoshi Nakata and raced goal-wards and was again desperately close with a shot from the outside of his foot. 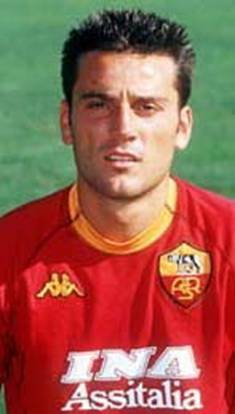 Francesco Totti and Marco Delvecchio both missed chances before Vincenzo Montella managed to put the ball over the bar from close range and the Roma attack became frustrated and error ridden to such an extent that they were hooted in derision by their fans as United edged closer to the final whistle and a well deserved 0-0 draw.